Elgato is one of the more popular brands today that are completely compatible with Apple’s HomeKit. Their accessories make sure that you can improve your comfort by knowing more about your home with things like the Eve Energy, Eve Room and Eve Window. 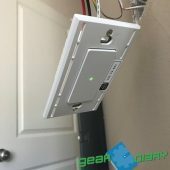 Their latest product, the Eve Light Switch is made to make sure that you can always control your lightning, no matter where you are. 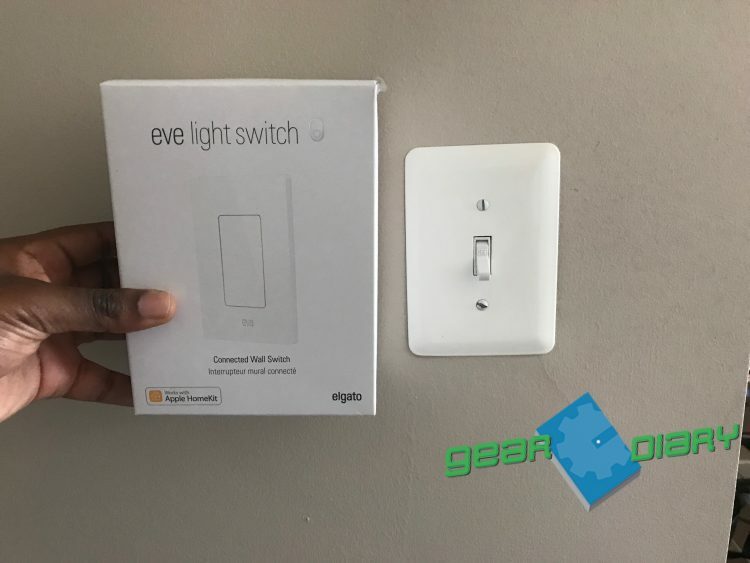 Elgato sent me over their Eve Light Switch to check out and I can truly say it’s one of the better smart home light switches on the market. Unboxing the Light Switch is pretty much you get what you see as the only thing that comes within it just happens to be the switch that you’ll be mounting to your wall. It will require some hard wiring, but nothing that you can’t do yourself. 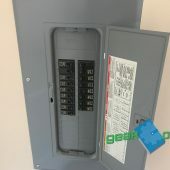 Elgato created a tutorial on YouTube for you to follow to avoid having to pay an electrician to install for you, but it’s as simple as turning off the power at the circuit breakers in your home that control your lights. After you’ve done this, be sure to go around in each room to assure that your lights do not turn on by simply flipping the switch multiple times. Most pre-existing light switches can be removed from the wall by the plate. Elgato advises that you only attempt the install if there is a neutral wire which is usually white in your switch box. 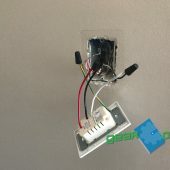 If you do happen to have the neutral wires, setting up is as simple as connecting using the wire nuts that come with the Eve Light Switch. 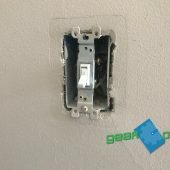 After you’ve successfully wired everything, you just mount the light switch by screwing in the snap plate, then pushing the face plate on top of that. Turning on your circuit breaker again will cause your lights to turn back on and function correctly with the Eve Light Switch. Now you’re ready to go. 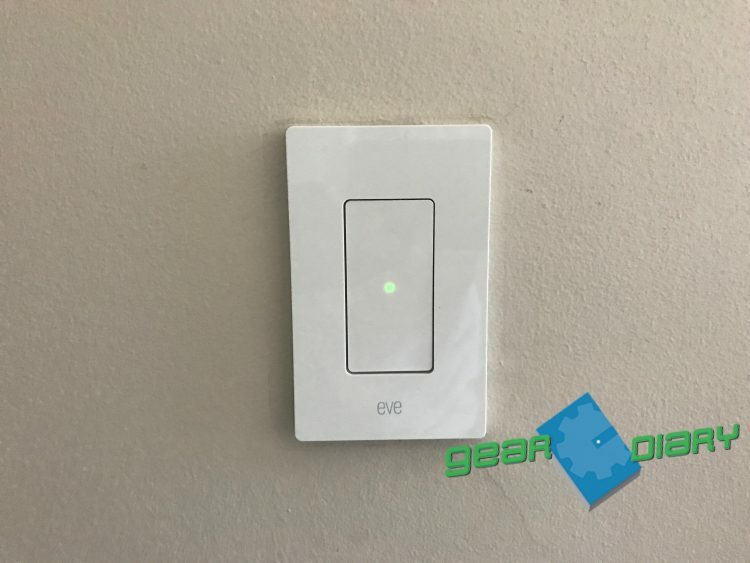 Having the Eve Light Switch at your disposal, now not only are your lights ready to use at the tap of your finger on your wall, you can control your lights directly from your smartphone. Prior to this method, I had to remind Jess to not turn the physical light switches on and off, making Apple’s “Home” app controls for my smart light bulbs useless. Now, with Elgato’s switch regardless of what method I use, the lights simply turn on and off in sync. Now we have no concerns about if the lights are drawing power due to the fact that we can also monitor their usage thanks to Elgato’s Eve app, which also houses the other fleet of Eve products we are using in our home. Having the ability to intelligently use smart light bulbs like the Phillips hue, or even just controlling standard bulbs with the Eve Light Switch is great. I’ve created a scene where when I walk to my front door the lights in my hallway turn on. I also have another scene set up that immediately at 12 midnight nightly, the lights in the master bedroom go out, regardless if they are on or off. This makes having to physically get out of bed to turn them off nonexistent. Overall I love my Eve Light Switches and intent on buying more. At only $49.95, not only is the switch cheaper than getting multiple smart light bulbs, but if you can get over physically wiring them, it’s a great option to have that will make your home even smarter. For more information on Elgato’s Eve Light Switch, head over to Elgato’s webpage today. What I Like: Never getting out of bed to physically turn off lights; Cheaper than buying bulbs.